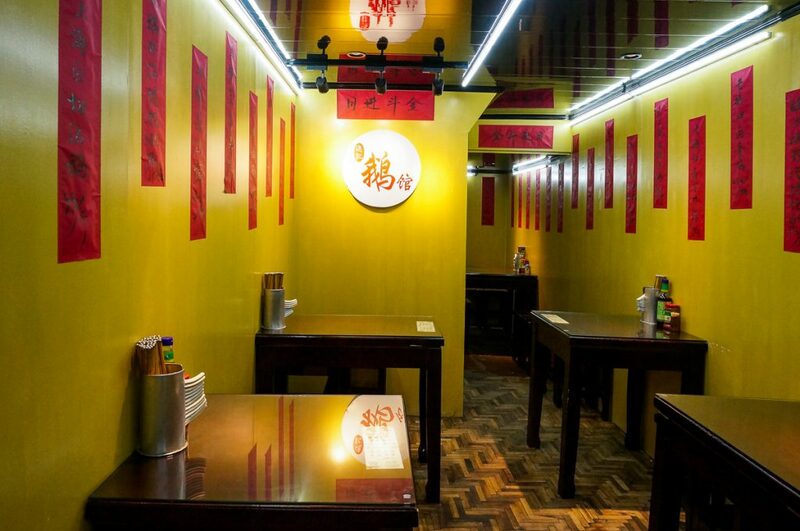 Some of these local restaurants, like Da Chang Mian close during the summer, presumably because it’s too hot. I’m also working off a wish list of noodle spots! So if you have a recommendation, please leave a comment below. 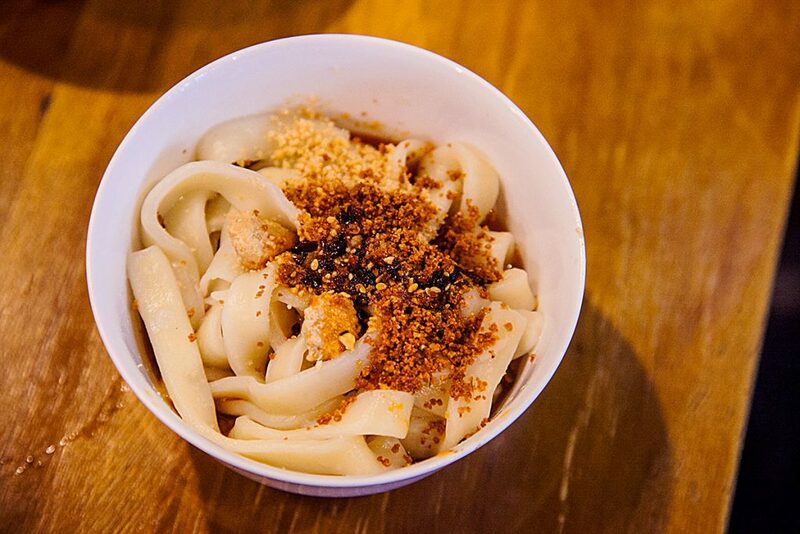 A Niang has long since been the go-to for locals seeking good noodles. It opens promptly at 11am, and the canteen is quickly filled with a line out the door. Most if not all are here for the yellow croaker noodles (¥25 黄鱼面 huang yu mian ). 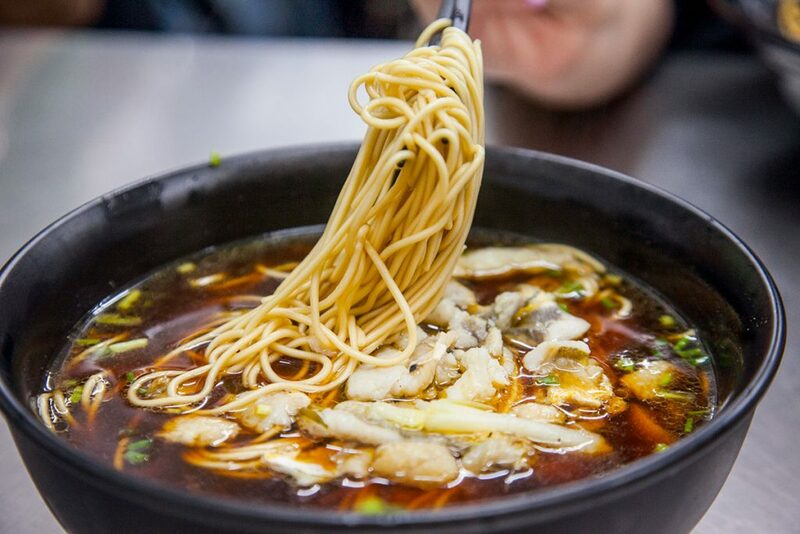 It’s a warming bowl of rich stock made from yellow croaker bones and soy sauce, the perfect base for chewy noodles and ample slivers of fresh, flaky white fish. 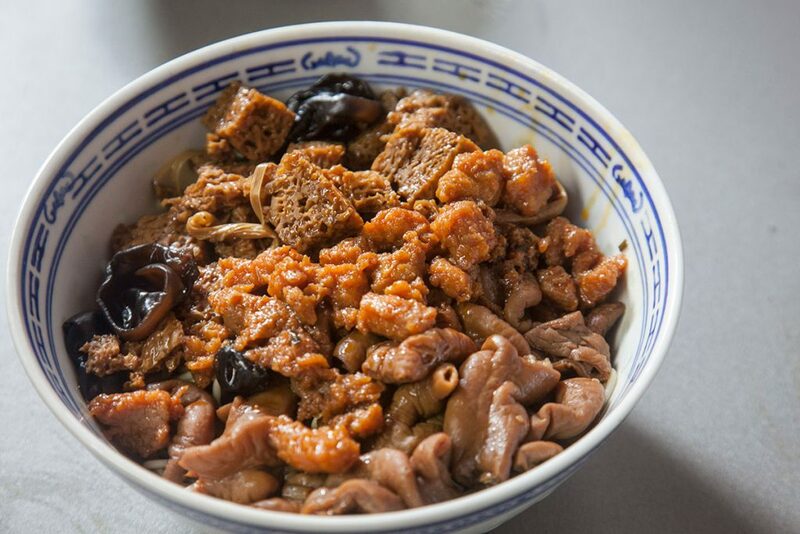 Pair it with a bowl of pickled mustard greens with minced meat (¥5 雪菜肉丝 xue cai rou si), a savory accompaniment with bits of pork flash fried with vinegar. 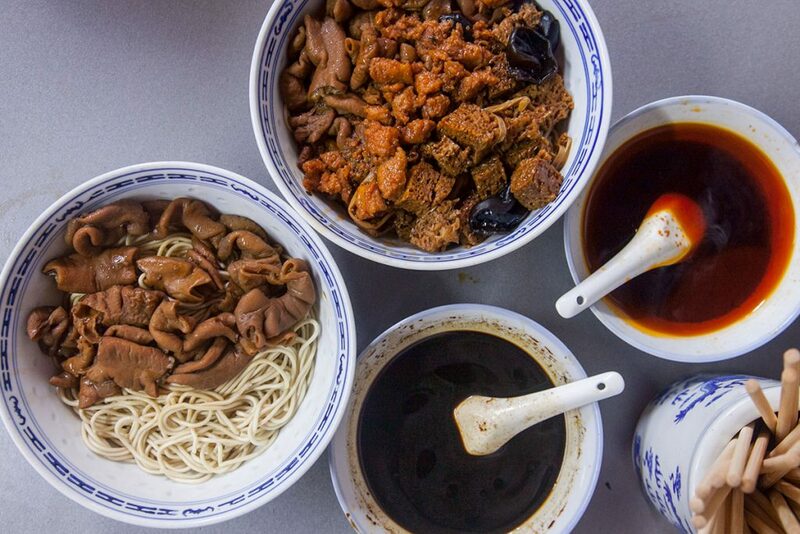 Other must-trys include the fried eel noodles (¥24 爆鳝面 bao shan mian) and crab meat noodles (¥39 蟹粉拌面 xie fen ban mian). More than al dente noodles with offal-rich geese soup and white-cut geese, served in a shabby back alley cubbyhole of a noodle shop. The soup is heavenly. It’s a massive bowl of rich, potent broth with baby bok choy and an assortment of goose innards—creamy livers, crunchy gizzards, and tender intestines. The size of the bowl is as big as the following serving of dumplings. That said, be sure to order the dumplings (¥39 for a bowl of eight). These fat purses are filled with a mixture of goose meat and innards, served in the same broth as above. It’s heady to say the least. 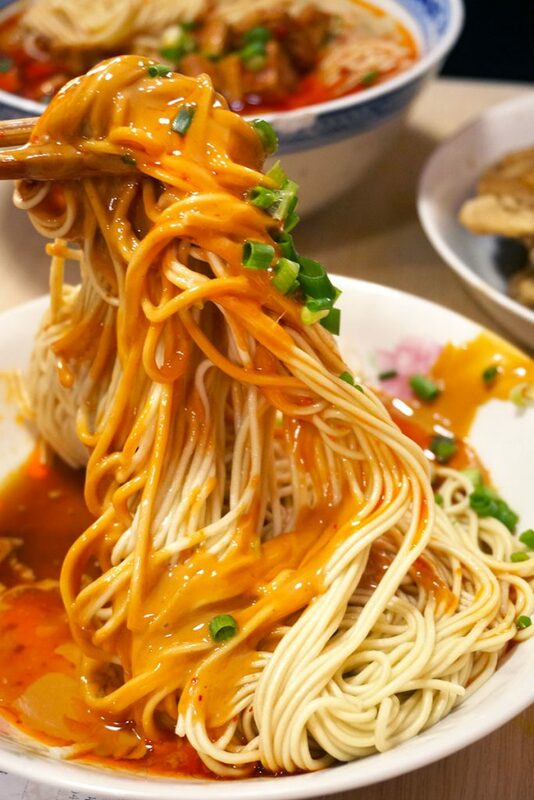 Wei Xiang Zhai is the go-to spot for sesame noodles (¥10 majiang mian 麻酱面). The restaurant runs like a machine and it’s hectic with people jostling for a place to sit, and no matter the time of day, you’ll find a line snaking out the door. 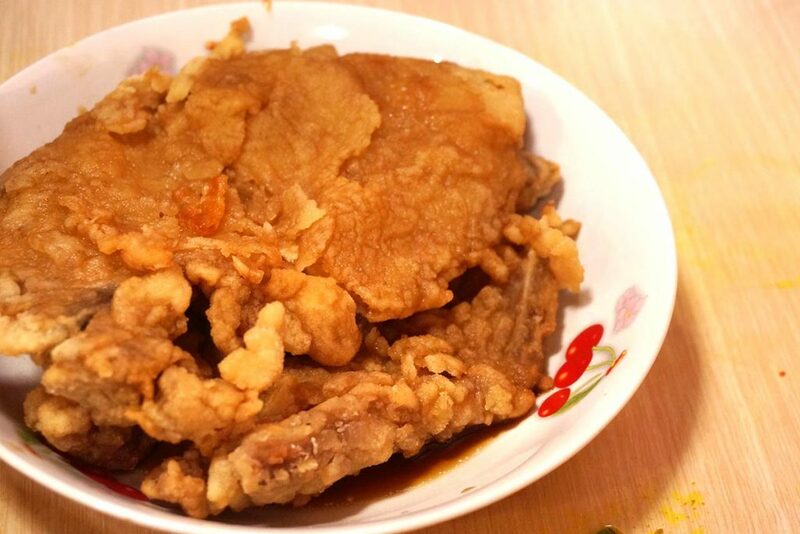 Get a deep-fried pork chop 炸猪排 (¥13), too, and add a splash of vinegar to it. Beat the crowd and go during non-peak hours. Into the belly of Da Chang Mian. Two makeshift tables for seating. 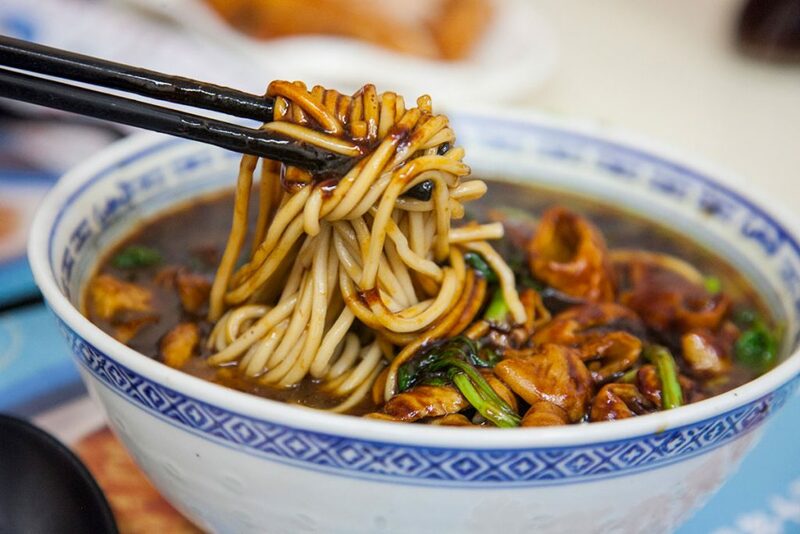 Those who have an affinity for “spare parts” would find Da Chang Mian the pinnacle for brined large intestine noodles (¥23, 大场面 da chang mian), served with soup or dry. The intestines are cleaned until they’re chalk white (as seen sitting in a sieve outside the kitchen) before being brined and then topped onto gummy noodles. The flavors are as intense as you can imagine: offally stinky. 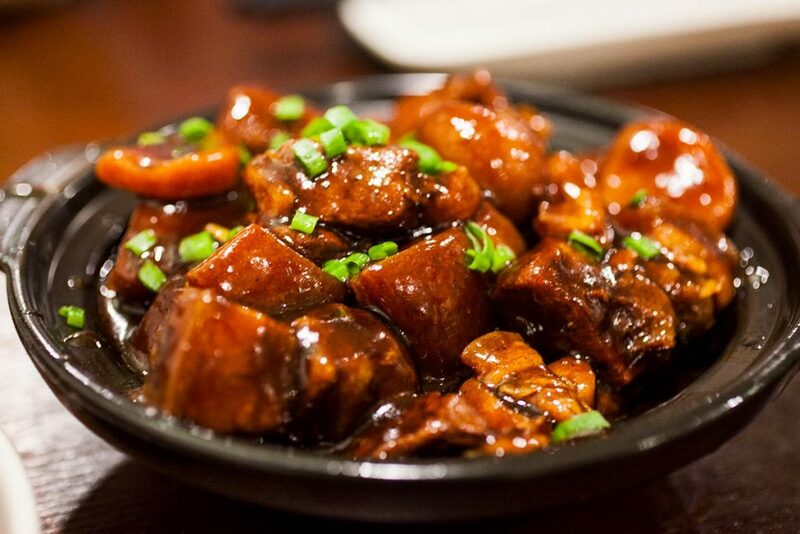 There’s also a variation that has fried pork, braised kaofu (a type of spongy tofu) and black fungus mushroom 大辣烤拌 (¥37). 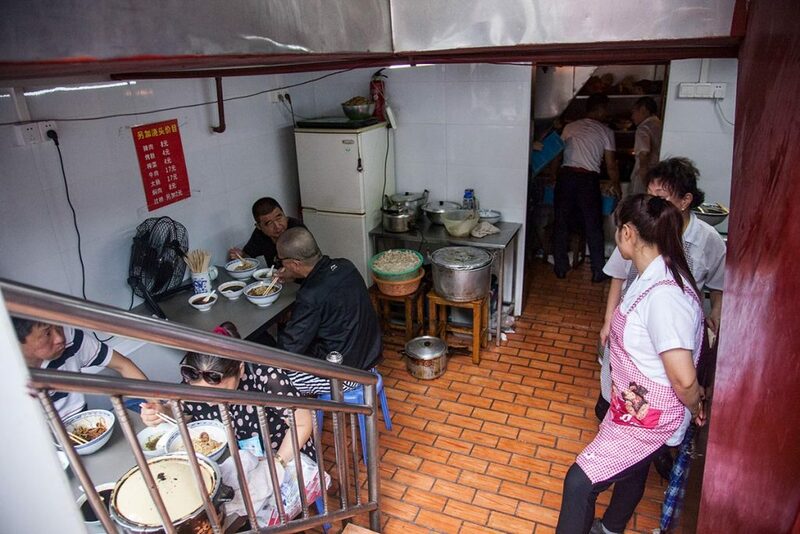 It’s possibly the best place to get large intestine noodles in Shanghai, drawing lines out the door. Despite being the most run down hole-in-the-wall, the flow of people assures me that it’s “safe” enough. Get there before 11am to ensure yourself a seat. Da Chang Mian, like most other smaller noodle shops, close during the summertime, and reopen after the worst of the heatwave surpasses. This popular local shop has been around since 1987. It’s a hole-in-the-wall chain that draws lines out the door and is known for their gargantuan portions. Plus, it’s open 24/7. The specialty here is the spicy bullfrog noodles (¥45, 牛蛙面 niu wa mian) cooked with bright green chilies and preserved Chinese cabbage. It’s a saucy order with about two to three bullfrogs worth of springy meat, and the added spice makes it absolutely satisfying. They also have a braised large intestine noodle (¥28, 大场面 da chang mian) that’s also pretty damned good. And guess what? It’s open 24/7. Many locations throughout Shanghai. 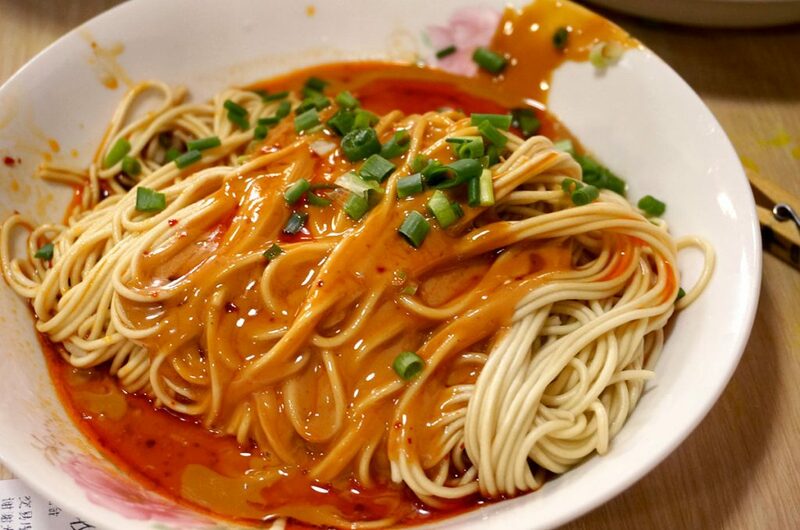 Liu Tang Men (previously called Liu Dao Men) is one of the mainstays for Sichuan noodles. There’s a lot to love about this sensational little shop, from the friendly service to the freshly made chili oil. 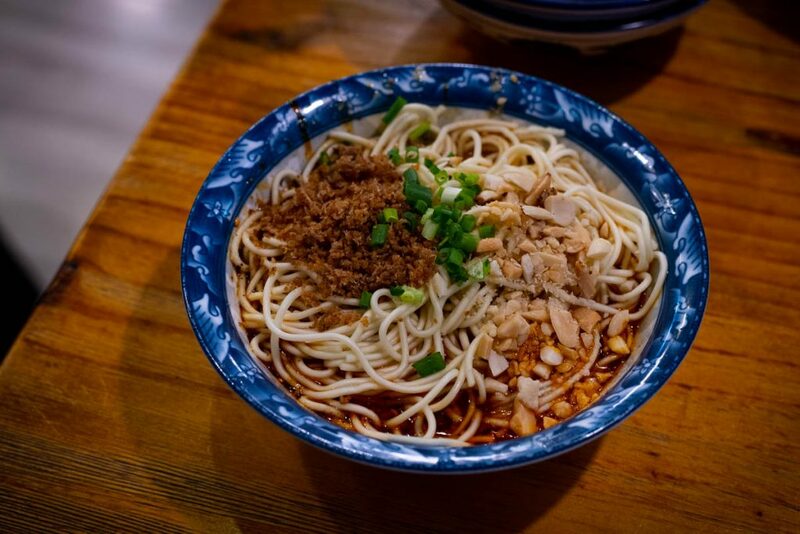 Their calling card is the tianshui mian 甜水面 (¥19), a tiny bowl of chunky, chewy noodles tossed in a splash of sweet soy sauce, chili oil and crushed peanuts. These are only available after 1:30pm! 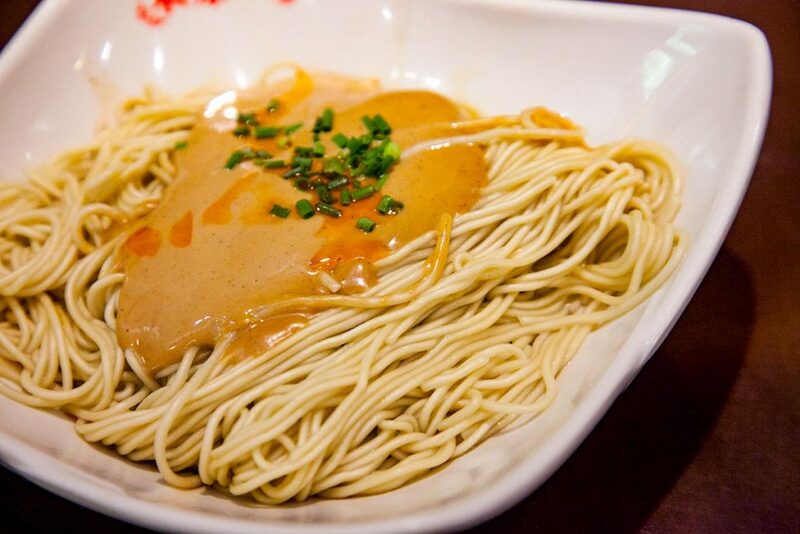 Don’t miss the dandan mian 担担面 (¥16), springy noodles bathed in chili oil, made fresh daily, and the wanza mian 豌杂面 (¥35), topped with starchy cowpeas. They’ve recently expanded their shop, which gets a steady stream of customers during lunch hour. It’s a little out of the way, so I’ve taken to ordering the noodles via ele.me. 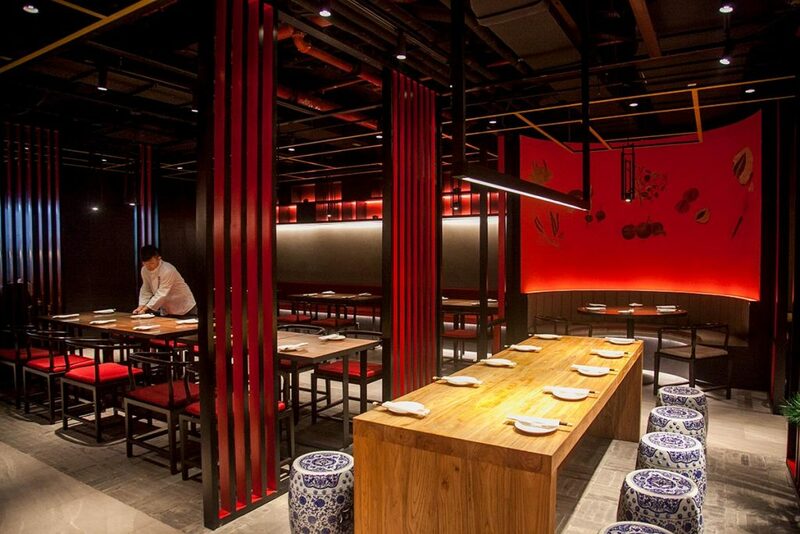 Shanghainese restaurant Jianguo 328 has become my default for entertaining visitors to Shanghai. 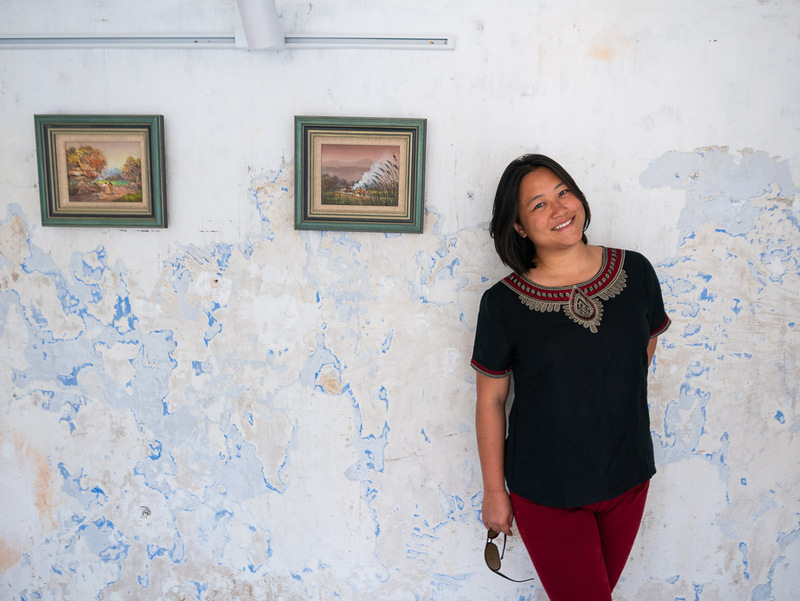 It’s cozy and has the character of being a homey local restaurant, but with service that’s more attuned to the needy nature of foreigners. Plus: English menu and wine list. 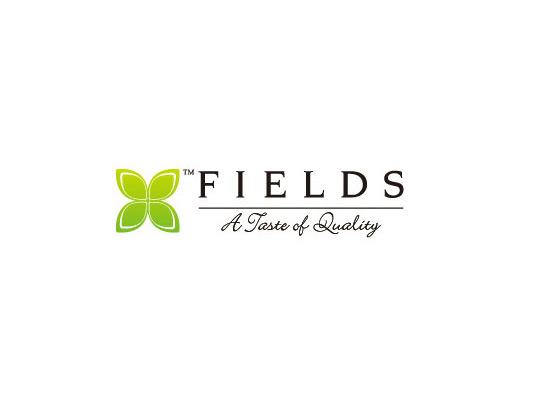 It’s also known for their attention to quality, providing an MSG-free meal, using filtered water, and a long list of consistent signature dishes. It’s operated by Taiwanese restaurateur Karen Chen, who also runs Unagi (eel rice), Machiya (Japanese with omakase), and Vesta (western). In addition to their braised pork belly 红烧肉 (¥58), stir-fried pork liver 酱爆猪肝 (¥28), and Jiuxiang Caotou 酒香草头 (¥28), the scallion noodles 葱油拌面 (¥18) are among the most ordered dishes, and for good reason. These gummy noodles might seem plain, but give them a good toss and coat them in the scallion-fragrant oil and you’ll understand. Just be sure to eat them while they’re hot. One minute too long makes these noodles harden in their place. Han Mama is also a well loved Taiwanese restaurant in Shanghai. 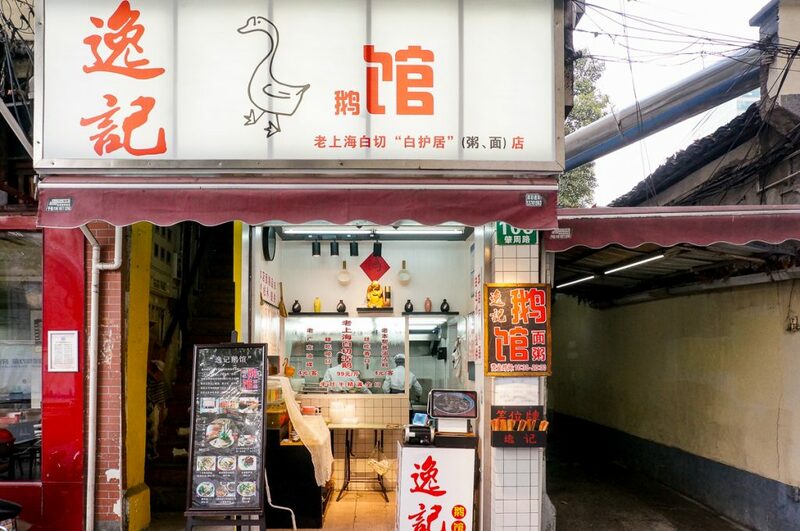 The original location on Nanchang Lu, now closed, was also awarded a Bib Gourmand in the Michelin Guide’s 2017 inaugural release, maintaining it for two years. 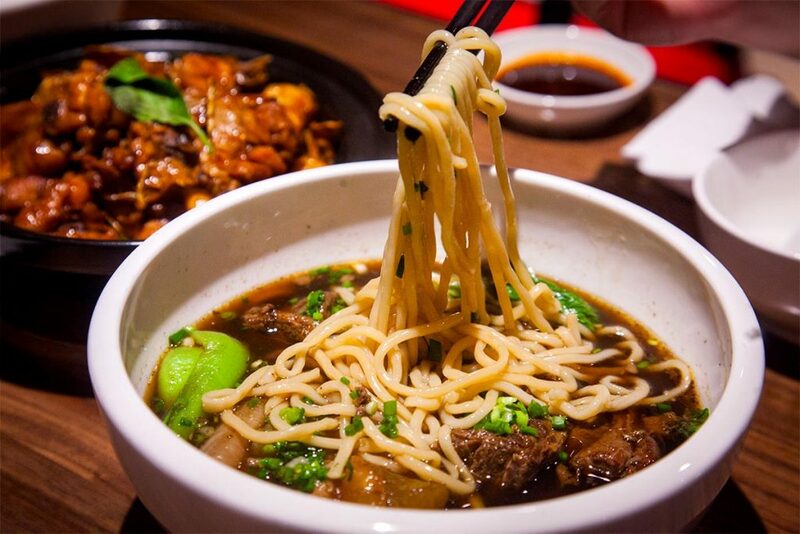 Han Mama’s expertise is beef noodles. They make their beef stock daily on a no-nonsense ethos of purified water and zero MSG, then skim the fat off. The result is a cleaner, milder rendition compared to your typical, street-side variety. Expect a rich beef stock, coupled with buttery tendon, tender brisket, and al dente noodles. Get the Half Tendon Half Beef Noodles (¥58). They also have a full menu of Taiwanese dishes. 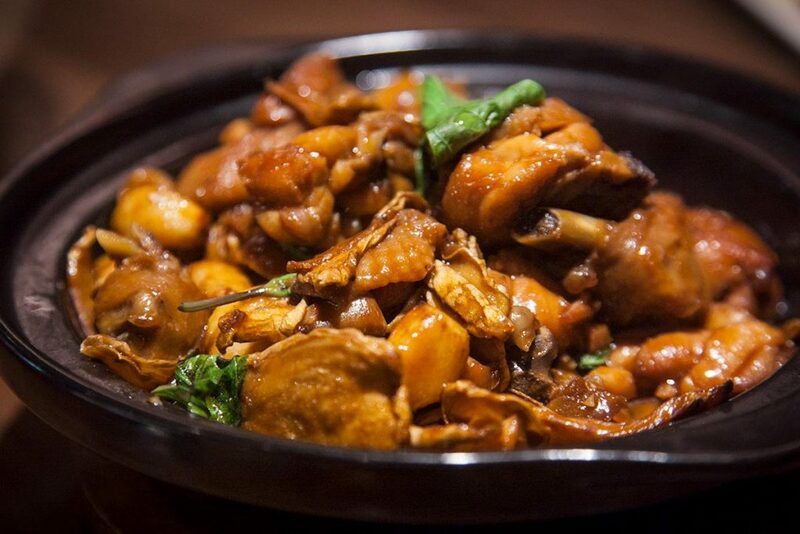 Other must-orders include the sanbeiji (chicken stir-fry with basil, ¥58). 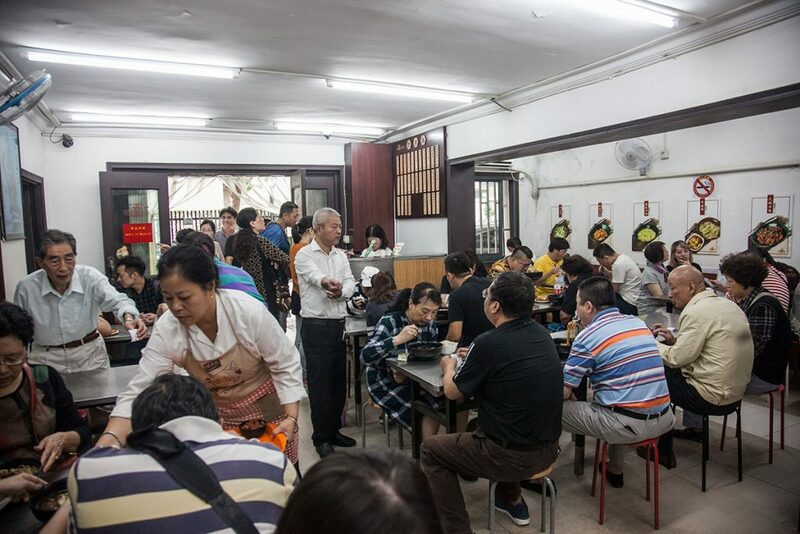 Dong Tai Xiang is the lesser known destination for sheng jian bao, outshone by its rivals Da Hu Chun and Yang’s. The pan-fried baozi are good, and so are the noodles. Multiple locations, but the one at 188 Chongqing Bei Lu is open 24/7. 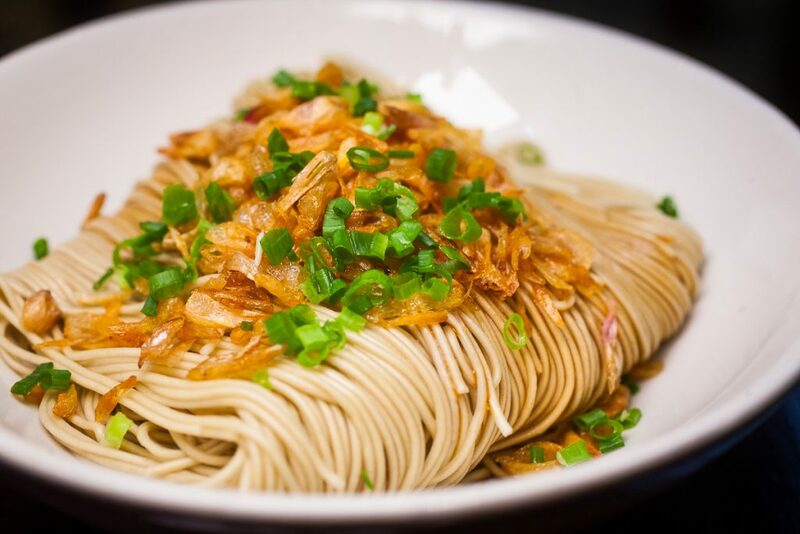 They also do some pretty decent noodles, including Scallion Oil (葱油拌面 cong you ban mian ¥12), Sesame Noodles (麻酱面 ma jiang mian ¥11), and an assortment of cold noodles drenched in peanut sauce. It’s not a bad option if you’re living in the area and want a quick fix. 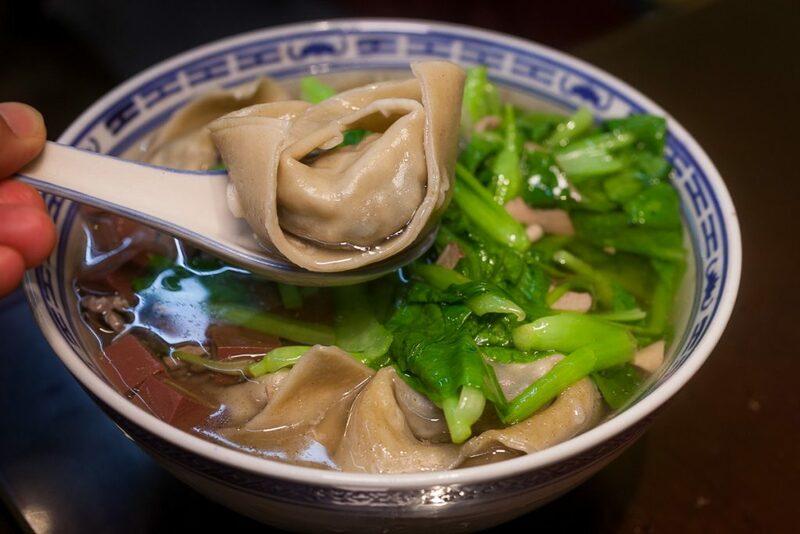 Get some of their cold wontons doused in peanut sauce (冷馄饨 leng hun tun ¥13) while you’re at it. 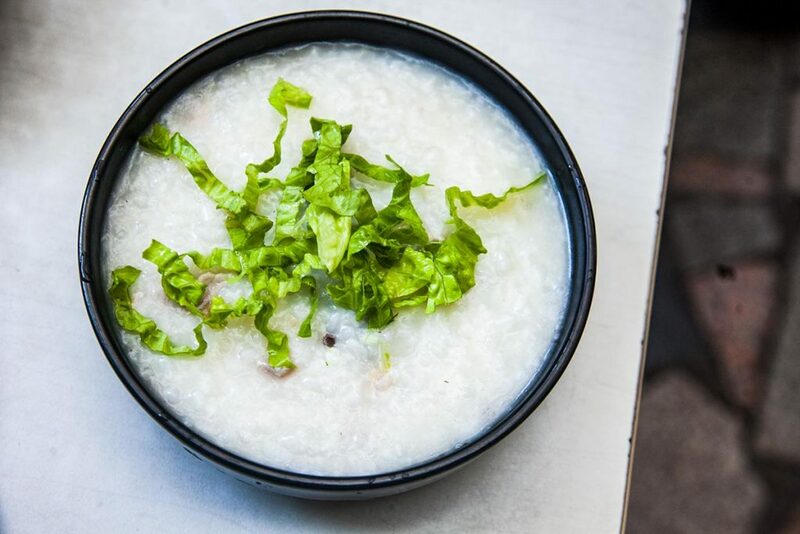 Open 24/7, this congee and noodle shop is late-night mainstay for locals. 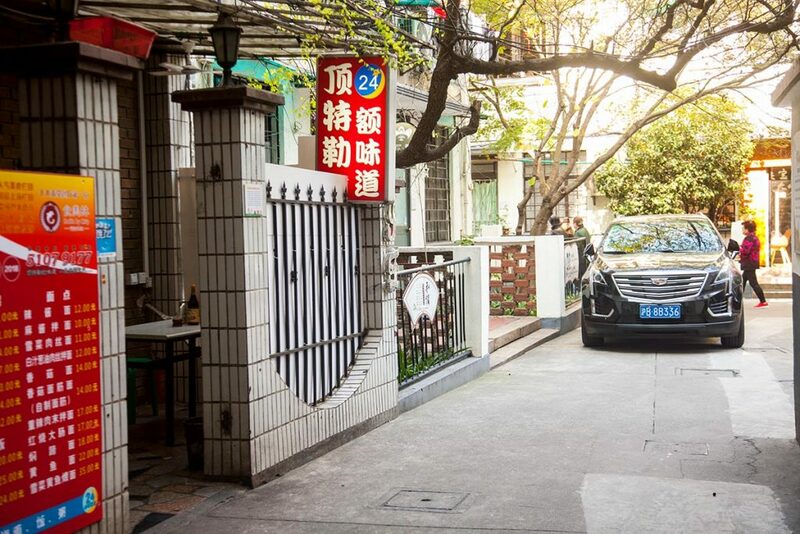 It’s a hovel of a restaurant, located down an alley amidst the glitzy branded shops on Huaihai Zhong Lu, slotted in a lot within a housing compound. It will prove difficult to find, but keep an eye out for the ICBC Bank, the alley is right beside it. 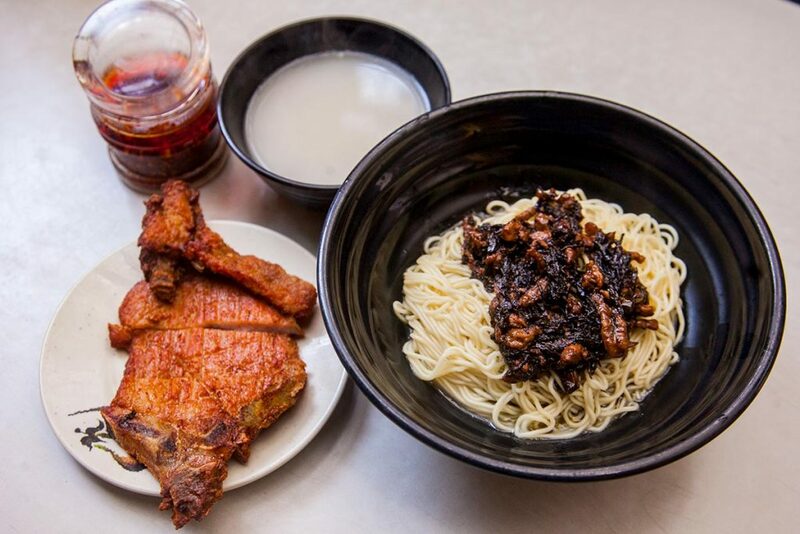 The offerings are substantial for a shop of its size, including different flavors of congee, simple meat mince noodle soups, braised pork rice (卤肉饭 lu rou fan ¥27), Sesame Noodles (¥15), and sides of fried pork chop (炸猪排 zha zhu pai ¥10) and fried/steamed vegetables. 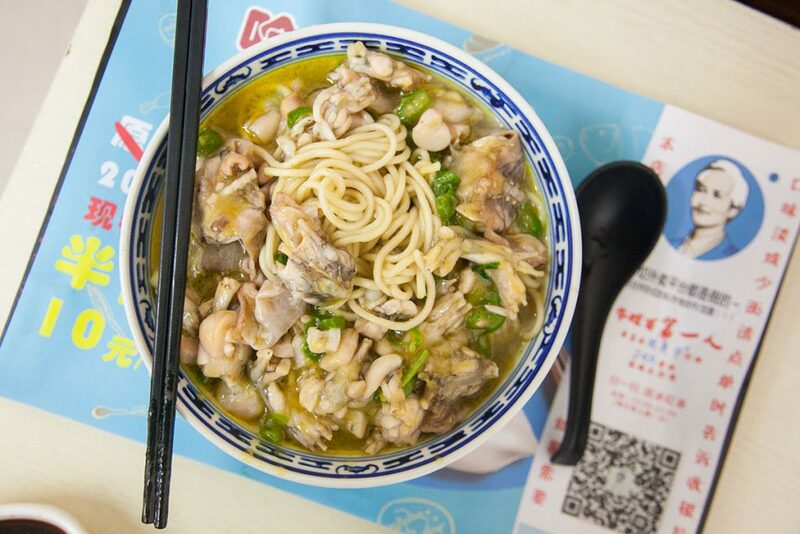 The star here is undoubtedly the Yellow Croaker Noodles (黄鱼面 huang yu mian ¥30). 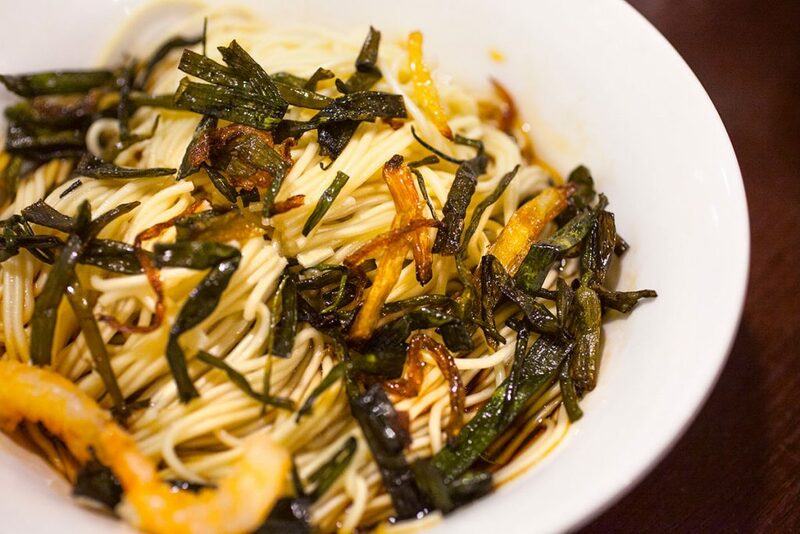 Springy noodles sit in a thick, milky stock of preserved mustard greens and cutlets of flaky fried yellow croaker. It’s lip-smacking. 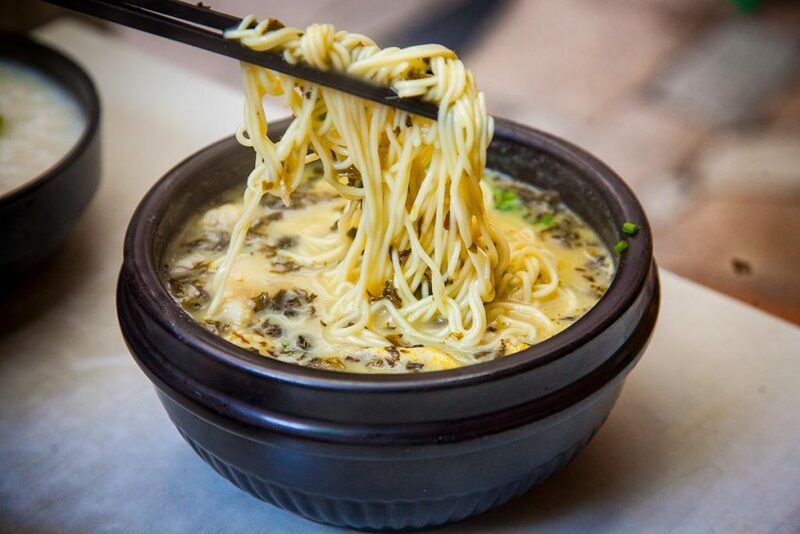 Because they serve it hot enough to singe the hairs off your lip, you’d need to give it some time to cool, which in turn, allows the noodles to swell up with the flavorful soup. Win-win.